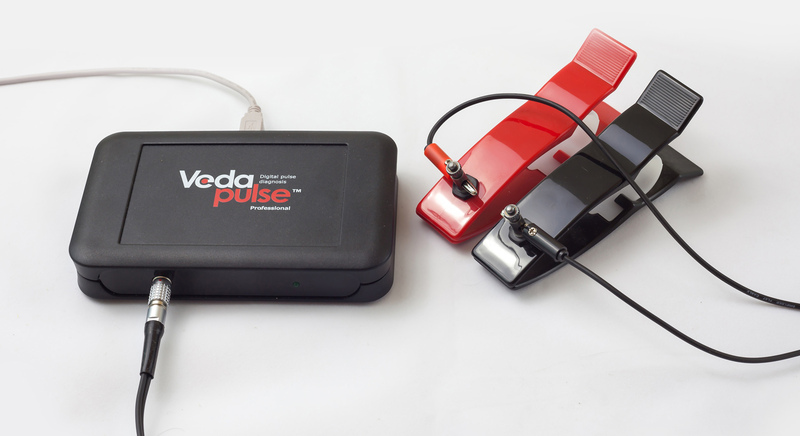 VedaPulse is an expert system that allows a health consultant to perform an express test of functional state of the body, evaluate stress level and help provide individual recommendations for rehabilitation including diet, food supplements, aromatherapy, herbs and correction of lifestyle. A professional kit that will allow you to perform express testing includes hardware and software kit VedaPulse and specific expert modules. Recommendations for diet and lifestyle. Individual recommendations for herbs selection. Selection of essential oils for correction of psycho-emotional disorders. VedaPulse Professional and VedaPulse Home intended for naturopaths and their patients respectively. They allow performing express testing of the body. Expert algorithms that help create recommendations for rehabilitation. Educational materials, webinars and seminars where you can improve your skills and find lots of new ideas for your practice, as well as be surrounded by like-minded people. Different health products that naturopaths can offer to their clients. (There are different discounts for wholesale buyers, as well as compensations for recommending our products to clients without having to stock products). System of remote connection between client and the specialist that allows “having your finger on the pulse” and help your client with advice in time. This has saved lives many times! VedaPulse works at the junction of ideas of West and East. It synthesizes the best from both East and West – advanced method of evaluating stress level and thousands years of experience in pulse analysis. Moreover, it is a whole complex of expert applications for automatic creation of recommendations based on express test of the body. VedaPulse can help answer the following important questions. What energy level does the body have? Is it enough for maintaining good health level? Which organs and systems suffer from lack of energy and which ones are working under pressure? Evaluation of physiological constitution type, based on which you create individual recommendations for recovering balance in the body and starting off the mechanism of self-recovery. What is the current stress level in the body? What type of reaction to stress is usual for the body? What may be the side effects of such reaction type? How dangerous is this? Whole range of answers about how to restore energy and control the dynamics of functional state.